Winner of the Edgar Award: The gripping account of a gruesome mass murder in gritty 1980s New York and the relentless hunt for a coldblooded killer. On a warm spring evening in 1982, thirty-seven-year-old accountant Margaret Barbera left work in New York City and walked to the West Side parking lot where she kept her BMW. Finding the lock on the driver’s side door jammed, she went to the passenger’s side and inserted her key. A man leaned through the open window of a van parked in the next spot, pressed a silenced pistol to the back of Margaret’s head, and fired. She was dead before she hit the pavement. 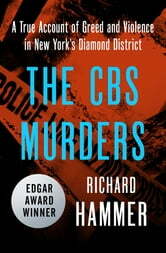 It was a professional hit, meticulously planned—but the killer didn’t expect three employees of the nearby CBS television studios to stumble onto the scene of the crime. “You didn’t see nothin’, did you?” he demanded, before shooting the first eyewitness in the head. After chasing down and executing the other two men, the murderer sped out of the parking lot with Margaret’s lifeless body in the back of his van. Thirty minutes later, the first detectives arrived on the scene. Veterans of Midtown North, a sprawling precinct stretching from the exclusive shops of Fifth Avenue to the flophouses of Hell’s Kitchen, they thought they’d seen it all. But a bloodbath in the heart of Manhattan was a shocking new level of depravity, and the investigation would unfold under intense media coverage. Setting out on the trail of an assassin, the NYPD uncovered one of the most diabolical criminal conspiracies in the city’s history. 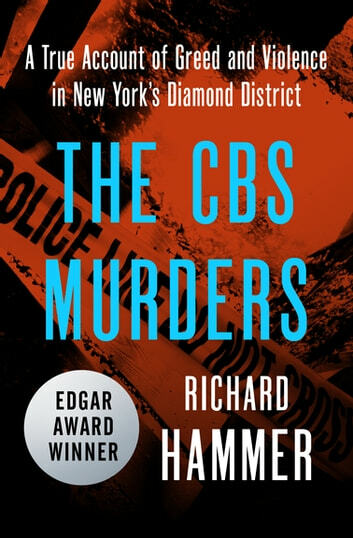 Richard Hammer’s blow-by-blow account of “the CBS Murders” is a thrilling tale of greed, violence, and betrayal, and a fascinating portrait of how a big-city police department solved the toughest of cases.